Nottingham Business School invited MBA alumni to share their experiences of completing their dissertations and the issues they faced with the current 2017 cohort.The event aimed to provide the current cohort with insightful information to help them through their dissertations whatever stage they may be at. The event comprised of four alumni presentations followed by a Q&A panel. Students got an insight in to how to effectively prepare and plan for the dissertations, manage their time and how to get over hurdles that may come their way. This was followed by a networking meal. This is the second year that David Weerasinghe, Postgraduate Recruitment Manager for NBS has organised this alumni event with great success bringing past and present students together to share experiences and knowledge. The event has been particularly successful with our current cohort and has shown to have great benefits for their upcoming projects. The dissertation talk was very insightful and helped me to understand things like how to plan for the project, when to start writing the report, and the possible challenges that can come across on our way. The guidance given by the alumni was great. We hope to continue providing such support to our future MBA cohort and connect them to alumni who can share their experiences. Martin Jones, MBA course leader also expressed the value of such events and appreciation of participating alumni - "This event has been a great success and a wonderful opportunity for the current MBA students to learn from the experience of their Alumni group. I would like to thank the MBA alumni for giving up their time to support the current students and for sharing their experiences with them. There were some really valuable bits of advice that were put forward for both the Business Research Project and in terms of career development and life after the MBA." 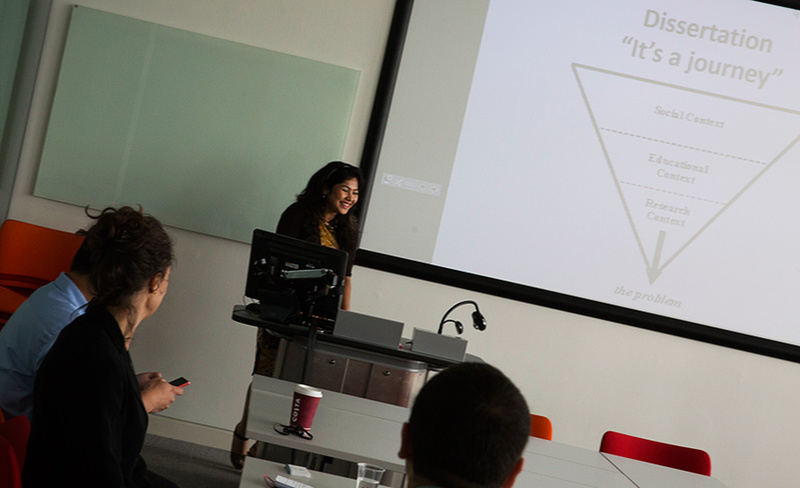 To find out more about the MBA and study options please visit the MBA course page. To keep up to date with future events please visit our events page.